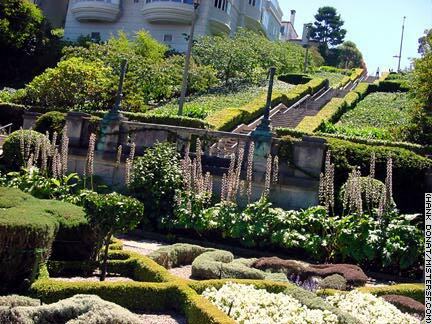 The Lyon Street Steps (from Lyon and Broadway to Lyon and Green) are San Francisco's own vertical Schönbrunn. Like the famed summer palace in Vienna, the Lyon steps are a wonder of flora and fauna meticulously cared for and lovingly designed to complement the beauty of their surroundings. Fortunately, you don't have to be a descendant of the Habsburg Dynasty to visit these exquisite steps and gardens. Naturally, the view is awesome, too.